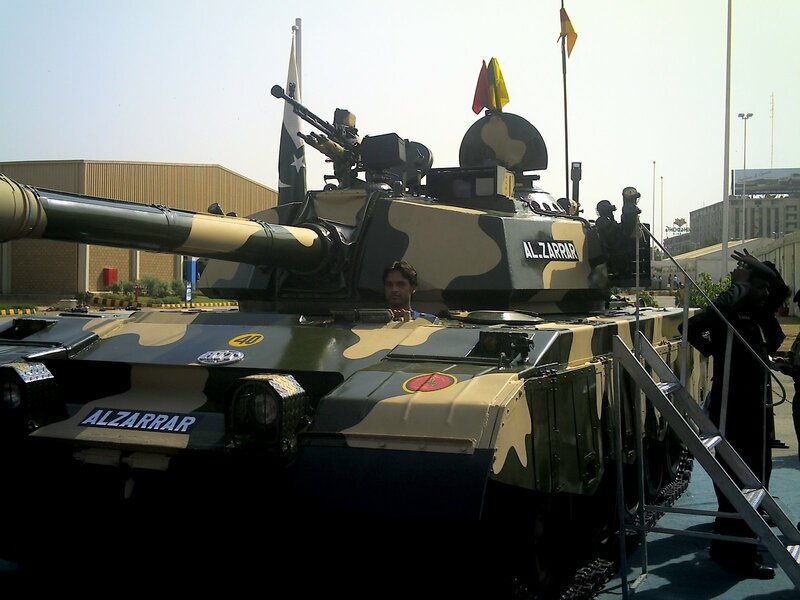 The Al Zarrar Tank is an upgraded version of the Chinese Type 59 Tank in service with the Pakistani Army. 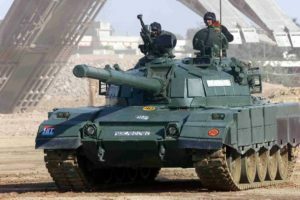 Developed in Pakistan, the vehicle has an improved main gun, Fire Control Systems, added protection and increased mobility. 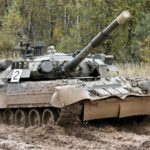 A number of prototypes from its development have been displayed at defence expo’s with and without Explosive Reactive Armor. 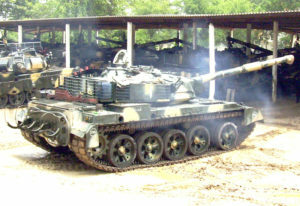 The Al Zarrar Tank has been in service with the Pakistani Army since 2004. 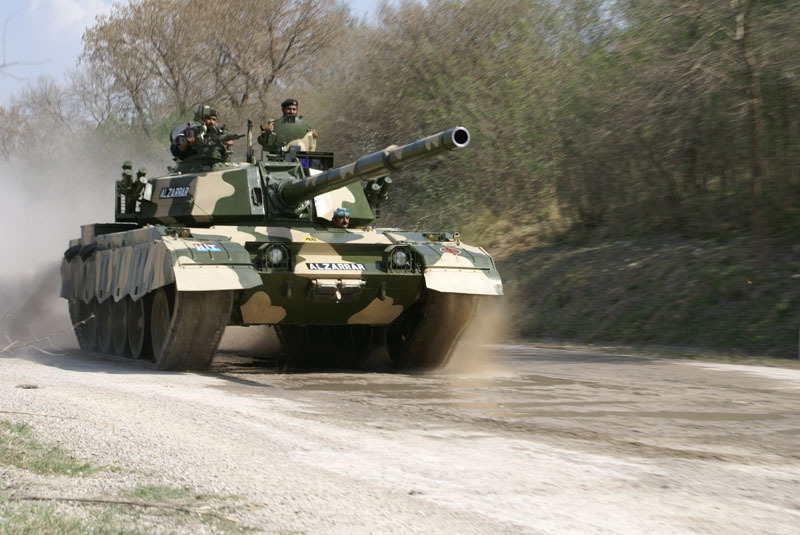 Pakistan has operated the Type 59 since the 1970’s and is currently the largest exported operator of the tank. Pakistan started a program for a series of upgrades during the early 1990’s. 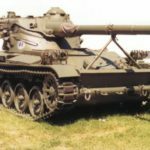 In 1993 a new 105mm rifled main gun was installed with stabilization and a new computerised Fire Control System, which is refered to as Phase I. Phase II upgrades started in 1998. 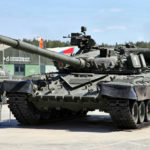 It saw the installation of a new more powerful engine and thermal imaging sights. 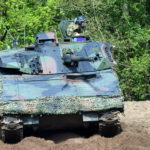 Phase III saw the testing and trialling of 3 prototypes of different, engine, suspension, main gun and armor configurations. 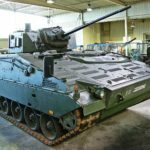 Prototype 3 was the eventual configuration selected for the final Al Zarrar upgrade. 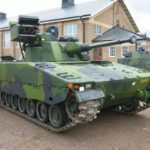 On first inspection the Al Zarrar looks like it has a new turret. This is incorrect. 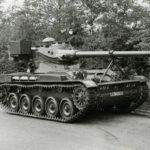 The original Type 59 Turret is retained, but elevated and fitted with a new modular system. 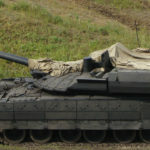 It has flat vertical surfaces that Explosive Reactive Armor can be attached too. 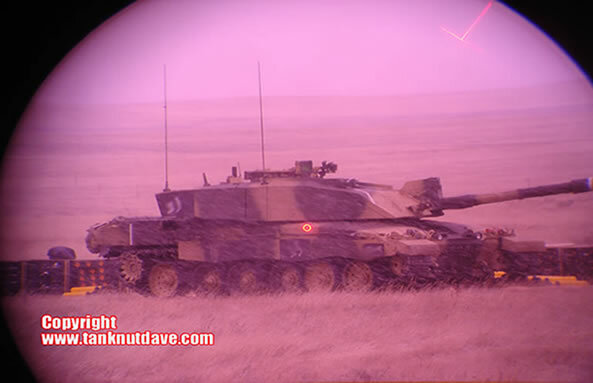 In addition a second module mount with ERA can be added to the turret front. The front of the hull has a new modular armor mounted on the upper glacis, which ERA can be added too. It’s not clear if the new modular armor has some form of composite or laminate armor inserts. Pictures of a destroyed Al Zarrar show an exposed void between the modules and the original cast domed turret. All this modular armor acts as spaced armor against RPG and HEAT round attack. 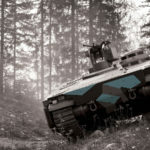 Other protection sub-systems include NBC protection and the LTS-1 laser warning system, developed by Al Technique Corporation (ATCOP). A fire detection/suppression is installed as well as Smoke Grenade Launchers. 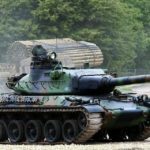 The original Type 59 and Phase II engine has been replaced with a larger VR-36 series 730hp Diesel used in other Pakistani Type 85 tanks. The larger engine has required modifications to the engine bay. The exhaust has been moved to the right side of the hull in a new raised housing with x2 round vents. A new torsion bar suspension was added to accommodate the increased weight and horsepower. 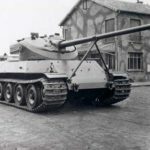 The tank has retained its original Type 59 road wheels but added new tracks with rubber pads. 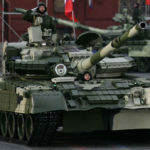 Pakistan has a number of tanks in service from both China (licence production/upgrades) and Ukraine with 125mm smoothbore main guns. 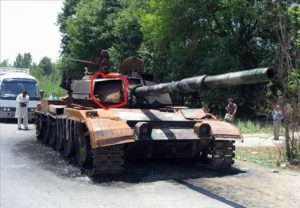 The Al Zarrar uses the same 125mm smoothbore as the Type 85 Tank in service with Pakistan and is fully stabilized. 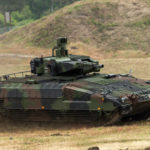 It can fire a range of armour-piercing fin-stabilised discarding sabot (APFSDS), high explosive anti-tank fin-stabilised warheads (HEAT-FS), HE-FS and anti-tank guided missile rounds. This includes the 125mm Naiza, a Depleted Uranium APFSDS round developed by Pakistan. The Al Zarrar does not use a fully automatic loading system, but rather a semi-automatic system retaining a 4 man crew. It has a modern computerised Fire Control System with Thermal sights and day channels. 80 tanks were delivered to the Pakistani Army in 2004 by Heavy Industries Taxila (HIT) with an expected 400 to have been upgraded from the Type 59 to Al Zarrar. 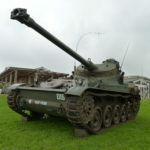 The tank has been used by the army in local military missions. 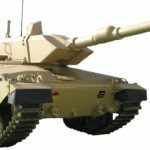 It is marketed at defence expo’s by Heavy Industries Taxila for the export market as an upgrade package for existing Type 59 Tank operators.